Storage and Interior Concepts use an advanced CAD software shown on a wide screen display. 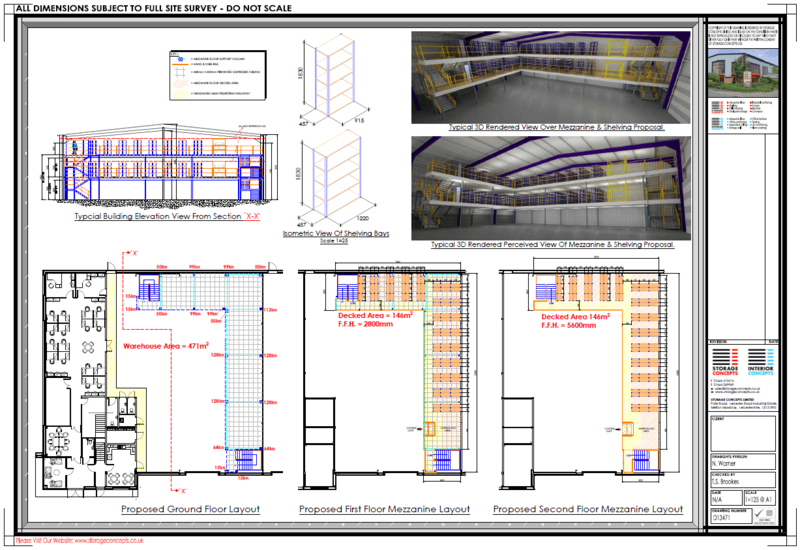 CAD allows you to view mezzanine floors, ceilings and partitions, storage systems and furniture, to give you a computer-generated image of the final result. Our CAD department have vast experience working on many varying projects, their aim is to create a layout that will meet your requirements in the most cost effective way.